April 22nd was Earth Day, the one day each year that we pause to really think about how we could take better care of our beloved third rock from the sun. Maybe your kids had a little “Earth Day” program or lesson at school. Maybe they sang “Happy Earth Day” and colored a nice picture. Or even took a pledge to be better conservationists. But when the calendar turns to April 23 and beyond, what will we really do to make a difference that lasts beyond one day? Well, if we all made a few simple changes it could have a profound global impact. 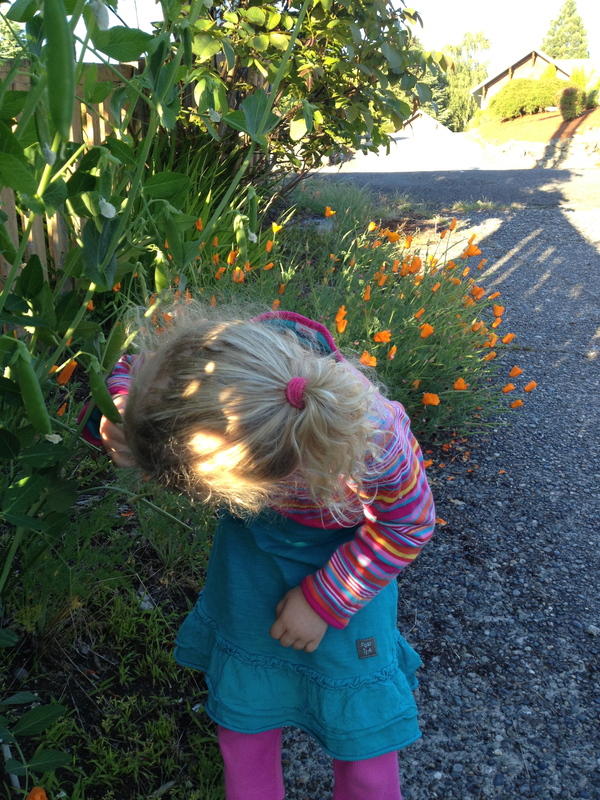 Here are ten easy ways that my family celebrates Earth Day…every day of the year! 10-Turn off the lights. When you leave a room turn off the light(s). Yeah, if you’re a parent, you probably feel like you’re constantly following your kids around and turning off the lights after them. I’m mean enough to make my kids (once old enough) to go back and turn off the lights themselves. It builds a good habit for later in life. Also, if there’s enough natural light then maybe use that instead of the overhead lights. 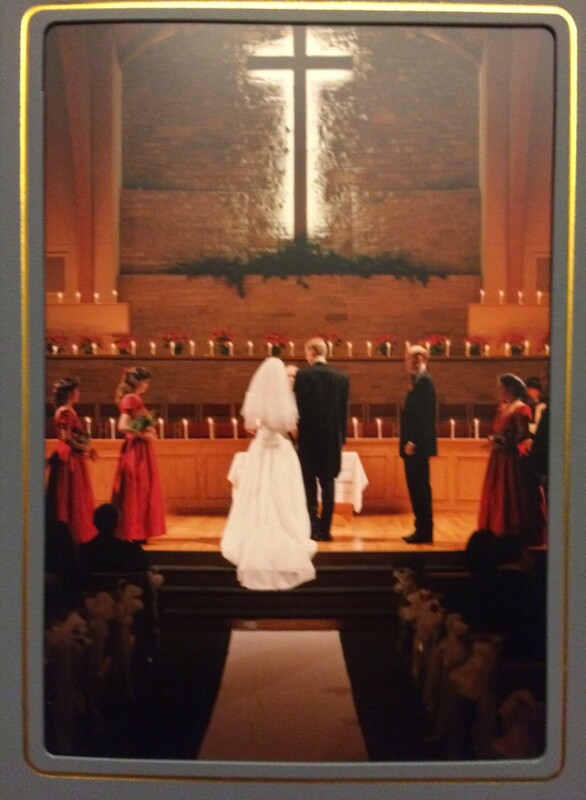 Or just use one lamp instead of a larger fixture. Small changes will add up quickly. 9-Programmable thermostat. For just a few dollars you (Yes, you! I’ve done it myself a few times and it’s easy.) can install a thermostat that you can program to automatically set back to a lower temperature when you leave the house or go to sleep and then raise it when you return or wake up. Not only is it good for the environment, but it’s also good for your wallet. If you’re really into it like I am, you can even keep it a couple of degrees lower during the day and wear a sweater or sweatshirt. 8-Compost food scraps. Toss those peels and other discarded food scraps in an outdoor composter instead of the trash or sink disposal. You can do the same thing for leaves in the fall if your city doesn’t collect them. After a little while you’ll have some excellent organic fertilizer to spread in your garden. 7-Use re-useable containers for left-overs. Of course it’s obvious to do that at home. But why not take them to a restaurant? Even though it makes our teenagers cringe from embarrassment, we’ve used them when going out to eat as a family, as our little ones often don’t finish their meals. 6-Reusable bags. Because I often forget the bags at home (hey, at least I remembered my kids! ), I actually keep a stash of reusable grocery bags in my van. My wife recently got six mesh bags for produce items that would usually be placed in plastic bags. They’re washable and easy to use. Our kids each have their own lunch bags for school lunches so that we’re not going through hundreds of paper bags each year. My oldest turned 20 a short time ago. So, that means that we’ve been cloth diapering our six kids for over two decades. With our first four we used the old cloth, safety pins and vinyl wraps. 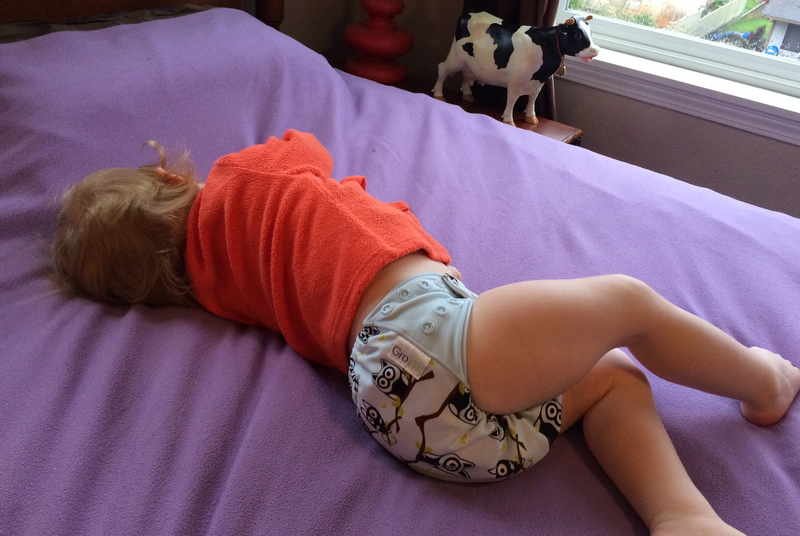 The modern cloth diapers are pretty slick and don’t involve pins. For the record, I never once pricked my kids with a pin while changing thousands of diapers as a Stay At Home Dad these last 14 years. Too bad the same cannot be said for my fingers. 4-Recycle. I know it’s obvious, but just do it. We even take it to the next level by bringing items not collected on the curb to the local recycling center. That also includes plastic shopping bags (see #6 above) which can often be dropped off at grocery stores. It’s worth the tiny bit of extra effort to keep these items out of the landfill. On a recent three-day road trip my 13 year old was looking for a place to recycle an empty box. Finding none, she asked if we could bring it home to recycle it. It’s second nature if you start early with your kids. Bonus: my 10 year old suggests using the empty plastic shopping bags as a trash can liner. 3-Pick up litter/trash. As a parent, I recognize that my kids are always watching to make sure that my actions match up with my words. With that in mind, I routinely pick up trash that is lying around when we’re out in public. It’s especially rewarding when my kids see me doing it and then excitedly copy my actions. Tip: carry a pocket-sized bottle of hand sanitizer with you. Update: I was telling my 10 year old son about this blog and he told me that on our recent trip he picked up an empty water bottle from the ground at a park and put it in our trash/recycling bag to bring home. I didn’t see it happen but it makes me proud to know that my kids are following the example of my wife and me in picking up trash. Eating sugar snap peas right off the plant. Yummy! Even though it sometimes might cost a little bit more, I like to buy items made or grown locally. We’ve purchased a CSA (Community Supported Agriculture) share from a local farm for each of the last 13 years. Visiting the CSA farm creates an opportunity for our children to see where some of our food comes from so they can begin to learn that it doesn’t magically appear in the grocery store or in our fridge. In fact, we also have a modest garden of sugar snap peas, strawberries, beets, herbs, tomatoes and lettuce/chard/spinach (not sure which of those last three will actually grow). The kids help me to build the garden boxes, prepare the soil, plant the seeds, water and weed as needed, and then harvest the crop. I love it when they walk out to the garden and help themselves, knowing that they (literally) had a hand in growing that food. 1-Reuse. Repurpose. And reuse some more. 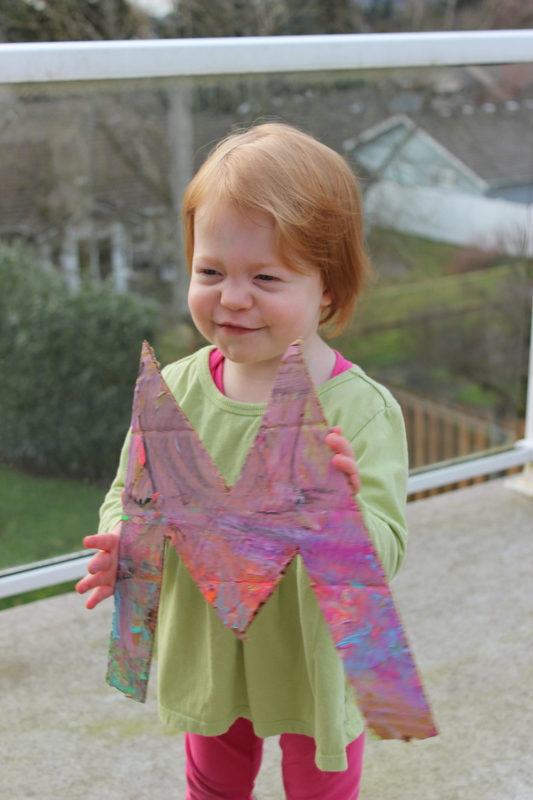 My baby painted that cardboard M as part of a Mother’s Day gift. We reuse things over and over. I used to think it was weird to save old moving boxes and packing paper. Guess what? The kids love to make forts and tunnels with the boxes and both the cardboard and packing paper work great for painting and other art projects. Then the painted paper can be repurposed as wrapping paper for friends or relatives. Our kids get new clothes when needed, but there’s certainly no shame in admitting that some of the outfits my 20 year old wore as a child have made it all the way to kid number six. It’s pretty impressive in my mind that some of the stuff lasted that long. My wife also is a queen thrift store shopper with a keen eye for high-end brand-name clothing for dirt cheap prices. Why pay the crazy amounts for a brand new outfit that your kid may or may not like or wear when you can save money by reusing? Sheets, t-shirts, towels and other fabrics can be washed and repurposed as rags or wipes. We haven’t had paper towels in three years. We made reusable wipes for our baby that work just as well as disposable ones. We bring water bottles on road trips instead of buying plastic ones. And then we often refill them at rest stops and gas stations along the way. Starbucks and other coffee shops often have reusable cups that both save the environment and your pocketbook. Bonus-Backyard chickens. 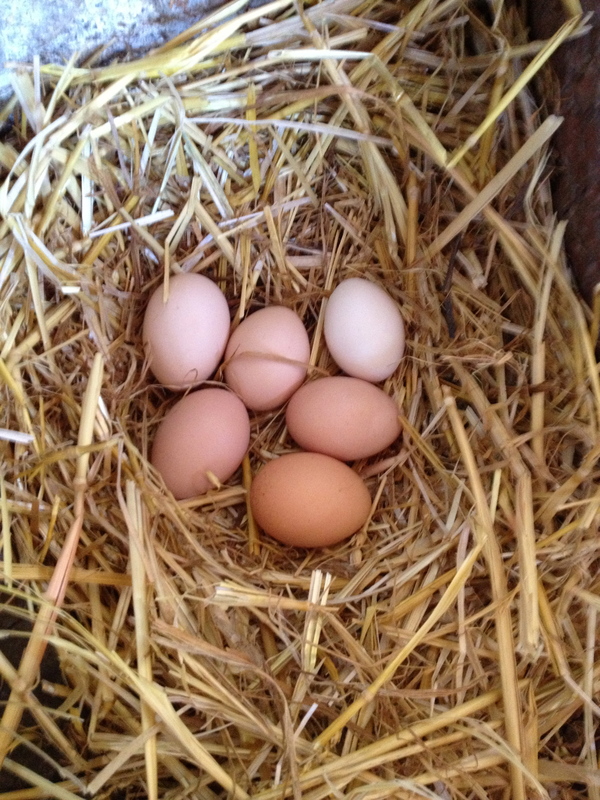 We’ve kept a flock of backyard chickens for about six years now and I love it for many reasons. The quality and freshness of the eggs is amazing and store bought eggs pale in comparison in color, taste and health benefit. The chickens are good for the environment because they will eat a lot of our food scraps that would either be trashed or composted and repurpose it into wonderful eggs. They also naturally eat pests, aerate and fertilize our lawn, and further our children’s understanding of where our food comes from. 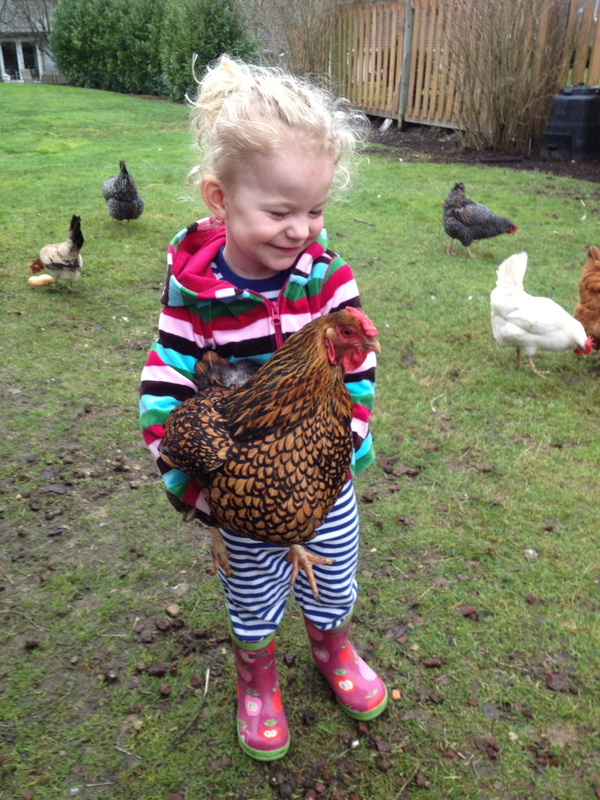 Keeping chickens is far less work than I had feared and quite a rewarding experience with my children. With the exception of the backyard chickens, the rest of the ideas listed above are pretty easy to incorporate into your daily routine if you make it a priority and a habit. If you have young kids make sure to explain what you’re doing and ask them to help keep you (the parents) accountable. Not only will they learn the new behaviors but they’ll be watching you extra close and will love to playfully remind you to shape up. Let me know if your family does any of these ideas or if you have additional ideas of your own. 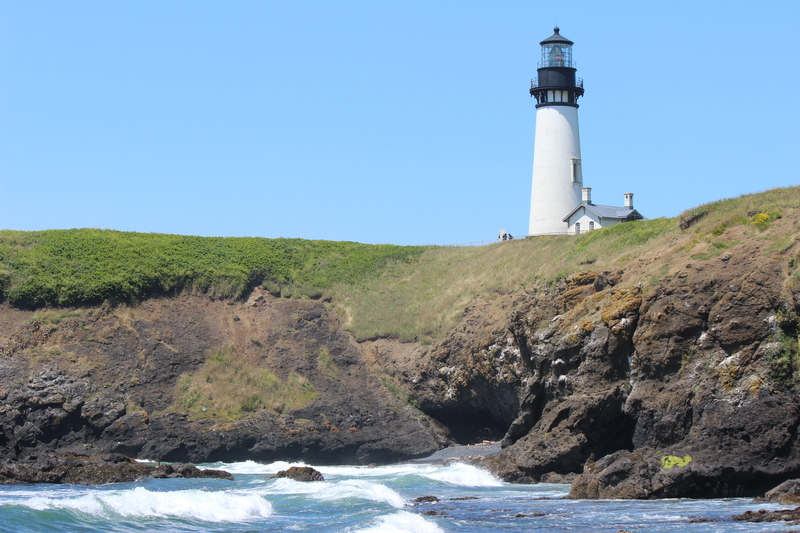 I Beat My Kids…and they like it! RELAX. I’m talking about beating my kids at board games. H-O-R-S-E. Cards. Footraces. Arm wrestling. 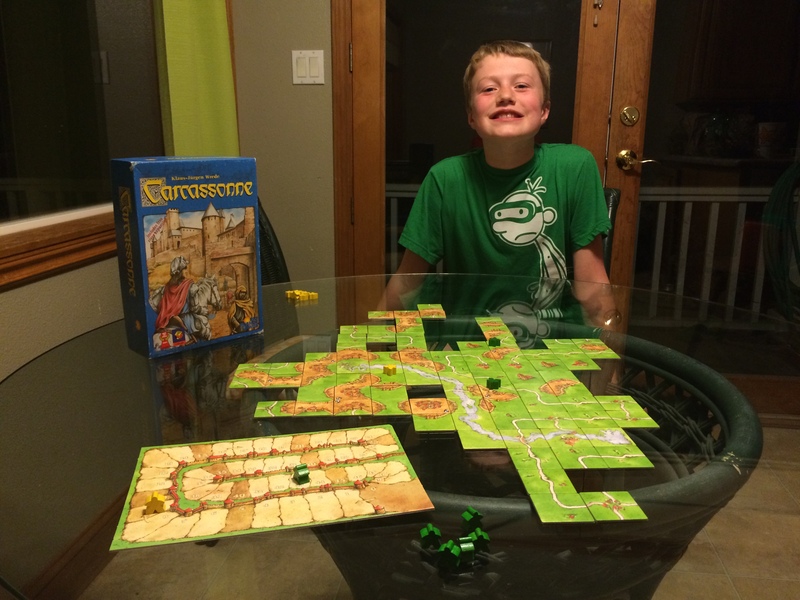 While I was playing my son, C, (age 10) tonight in a couple of games of Carcassonne,I asked him if he wanted me to take it easy on him. He looked at me kind of funny, with a weird expression on his face, not understanding what I was asking. So I rephrased it, “Do you want me to play nice so that you’ll have a better chance to win?”. His response? “NO! I don’t need you to go easy on me. I can win on my own.” Bingo! I couldn’t have said it better myself. We played two games tonight. I won them both. He has yet to beat me in this particular game and we’ve been playing it for quite a while now. He doesn’t complain. In fact, it drives him to get better. The margin of victory was a lot less in the second game. His strategy improved along with his score. I’ve been a parent now for nearly twenty years, but I’ve been a competitive game-player for as long as I can remember. I can recall long games of Monopoly with my older brother that maybe got a little bit over the top competitive. One in particular, in which I had him basically beaten, so he said he “died” and flipped the game board over and huffed away. 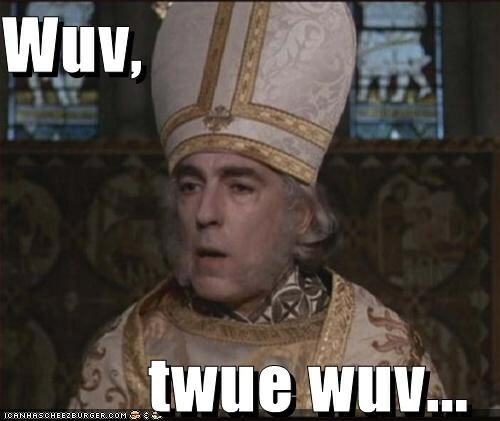 I’m especially fond of that win. While my parents didn’t really play a lot of board games with us I have a lot of very fond memories of playing games with both sets of grandparents. My dad’s parents taught us how to play Sheepshead (although they called it the German name). I routinely lost but as time went on I learned the game and became a decent player. Same for my other set of grandparents who taught me all sorts of card, dice and board games: cribbage, backgammon, chess, checkers, king’s corners, sollitare, burn, acey-deucy and pinochle. I grew to cherish the times that we would spend playing those games, often for hours at a time. Never once do I remember them letting me win. If they did, they did a great job of hiding it. What I do remember, though, is learning to win and lose with grace and humility. There was no dancing and hooting and hollering. Maybe a tiny hooray but nothing extraordinary. Of course, whenever I would beat my grandpa in a game head-to-head I got a certain sense of accomplishment, knowing that I had beaten someone who I considered a really good player. With our oldest child, I remember when she was maybe four years old, letting her beat me in a foot race across the front yard. The next day her best friend was at our house and my daughter challenged her to a race, boasting about how she had beaten me every single time the day before. Her friend roasted her every single time because my daughter was so slow. I realized that maybe letting her win all the time wasn’t the best idea. It would be okay for her to learn that she wouldn’t always win and that losing might just fuel her to do better the next time. Right now, my fifth child is almost five years old. She likes to play card games like UNO and Spot-It and even Dutch Blitz (with some help). In some of those games where speed is an important factor, I take it easy on her to level the playing field a bit. After all, no kid wants to lose all the time. That’s not fun and would just turn her off to games completely. Yet, at the same time, I don’t go so easy on her that she wins every time. She’s learning how to win and how to lose. 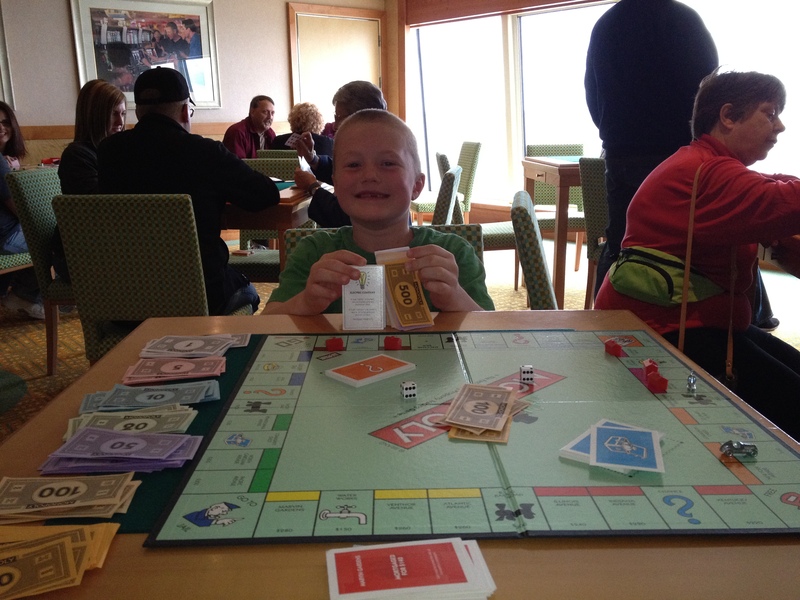 Three years ago I took my son, C, then age 7, on a week-long cruise to Alaska. Since we were “at sea” the entire first day of the trip we spent some time in the game room, where I taught him how to play Monopoly.I warned him that it was a game that would eventually bankrupt one of us, and it would likely be him since he was just learning the game. As it turned out, he had lucky dice like I did when I was a kid (see board-flipping story above) and won his debut Monopoly game. When I asked him tonight if he remembered that game, he beamed, proudly recalling a lot of details, including the fact that he ended up with $4400 to my ZERO! My older kids, three girls that are all teenagers (for another week until one becomes 20, yikes!) all enjoy playing various games with me, despite my competitive nature. I have not taken it easy on any of them when we’ve played H-O-R-S-E or “Around the World” in the backyard. Or bocce ball. Or Dutch Blitz (a fast-paced card game). Or board games like Ticket to Ride or even Disney Trivia Pursuit. I’m scary good at the Princess movie questions. Don’t judge. In fact, a few years ago, my oldest and I had a running competition in which we played Dutch Blitz for money, a penny a point. Talk about a way to motivate my daughter for pennies. It was so much fun. I think I might have made $5 off her that summer. But, the point is, she didn’t suffer emotional trauma because I beat her (and maybe taunted her, but, in my defense, she was a teenager at the time) and took her money. It was a valuable, if not cheap, lesson in not running your mouth about how good you are in a game if you can’t back it up. To this day we still joke about that competition. 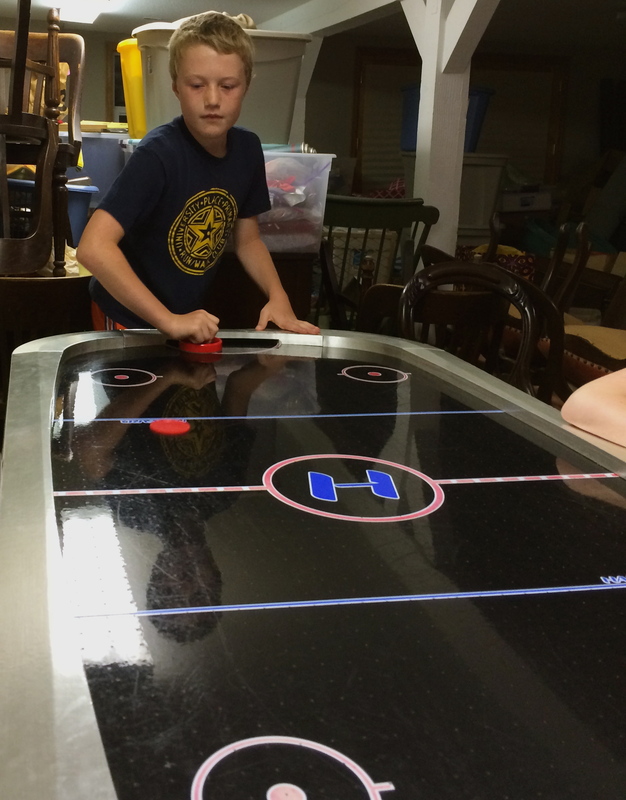 Last summer we managed to clean up our Rec Room enough to actually use the air hockey table. The kids had fun playing it together and my son made the mistake of challenging me to play against him. I told him I wouldn’t take it easy on him, that I would play to win. If memory serves me correctly, it took him 18 games (over several days) to finally beat his old man. But when he finally broke through, the excited hooting and hollering were music to my ears. He knew that he had earned that hard-fought victory on his own accord. We all had so much fun playing king-of-the-table tournaments. I think the longest streak was five wins in a row for one person. We also figured out that it was pretty fun to put all five air hockey pucks on the table at the same time and play. I’m currently the household king of Trivia Crack and am proud of my trivial knowledge. I love nothing more than to accept the game challenges from my kids, only to crush them swiftly in one or two rounds. Except for that one game last week in which my 13 year old beat me. I ran into some questions about TV shows and movies that I’ve never seen and, obviously, don’t know. After she beat me she told my 15 year old about it. “You beat Dad?! No way! Prove it!” Sure enough, she had the proof on her device. Let’s just say that the games between us have been decidedly one-sided since that blemish on my record. My ten year old just came near the computer and saw what I’m writing about and smiled. He told me, “It’s okay to go easy on your kids until they’re about six or seven. Once they’re that old you have to go hard on them!” Bring it…and let the games begin!